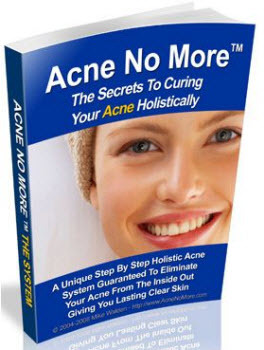 Both clinical observation and experimental evidence confirm the importance of androgens in the pathophysiology of acne. The majority of circulating androgens are produced by the gonads and the adrenal gland. Androgens can also be produced locally within the sebaceous gland from the adrenal precursor hormone, DHEAS. The main androgens that interact with the androgen receptor are testosterone and DHT. Androgen receptors are found in the basal layer of the sebaceous gland and the outer root sheath keratinocytes of the hair follicle (1,2). DHT is approximately five to 10 times more potent than testosterone in its interaction with the androgen receptor. An essential role for androgens in stimulating sebum production is supported by several lines of evidence. For example, the development of acne in the prepuber-tal period has been associated with elevated serum levels of DHEAS, a precursor for testosterone (3,4). Androgen-insensitive subjects who lack functional androgen receptors do not produce sebum and do not develop acne (5). 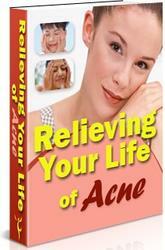 Tumors of the ovary or the adrenal that produce androgens are often associated with the development of acne. Systemic administration of testosterone and dehydroepian-drosterone increases the size and secretion of sebaceous glands (6), and we know that severe acne is often associated with elevated serum androgens (7,8).